The Freefly MoVI Controller is the perfect tool for manipulating MoVI gimbals. Using Dual Operator Mode is great on fast paced shots because it enables one person to concentrate on framing whilst the other focuses on manoeuvring the MoVI, granting unrestricted 3-axis camera moves. Primarily we use the MoVI Controller when operating our drones for its ability to intuitively fine tune and adjust the MoVI parameters like pan, tilt and roll, literally on the fly. 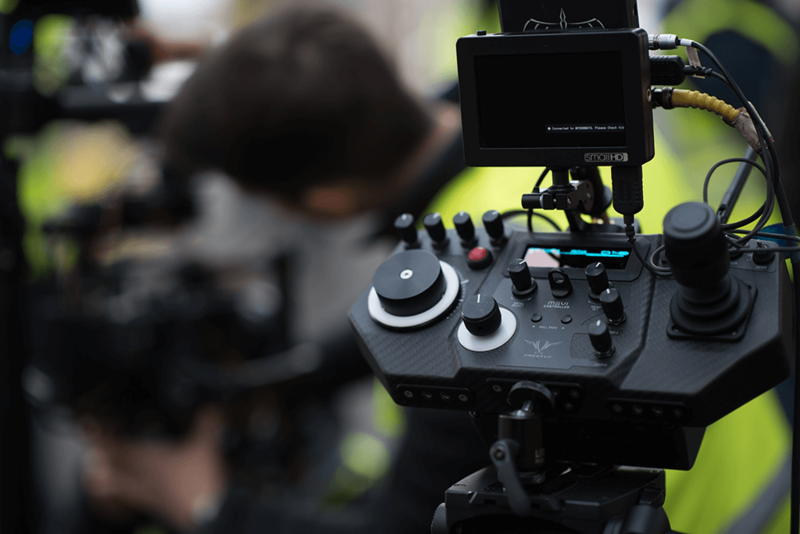 Like all Freefly equipment it comes housed in a lightweight but strong carbon fibre enclosure, with pan/tilt joysticks and adjustable Focus, Zoom and Iris controls. Having so much control over the camera enables high precision and accuracy with complex filming, giving our clients the assurance that any shot is achievable.